The BJP is rising in Arunachal with every passing day. The latest example of the same was seen in Pakke kesaang assembly constituency where the leading congress leaders join BJP. 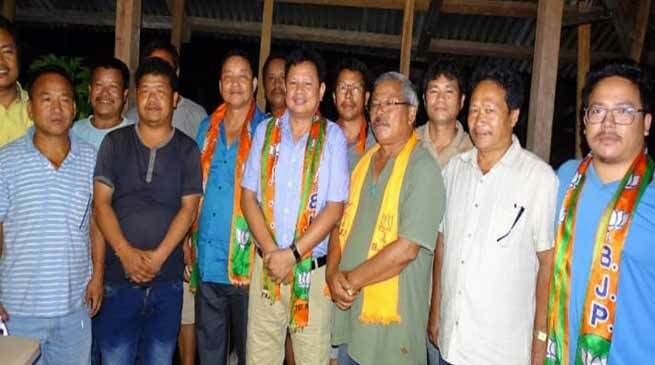 Talking to Arunachal24, the BJP MLA from Pakke kessang constituency BR Waghey informed that the election agent and the election campaign chairman of the Congress party in the last By poll who are the back bone of this constituency for the party have joined the BJP .